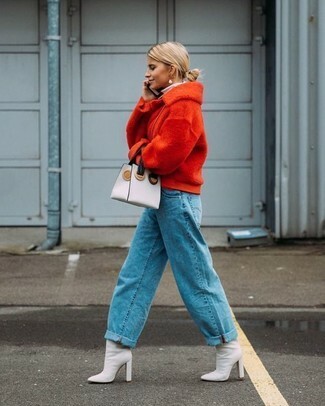 We're all seeking comfort when it comes to dressing up, and this combination of a red wool bomber jacket and blue boyfriend jeans is a perfect example of that. Sporting a pair of white leather ankle boots is an easy way to add some flair to your ensemble. If you're on the hunt for a casual yet chic look, go for a beige trenchcoat and black skinny jeans. Both garments are totally comfy and will look fabulous paired together. When it comes to footwear, this outfit is complemented nicely with white leather ankle boots. If you're after a casual yet totally stylish getup, try pairing a blue plaid coat with blue jeans. Both garments are totally comfy and will look fabulous paired together. 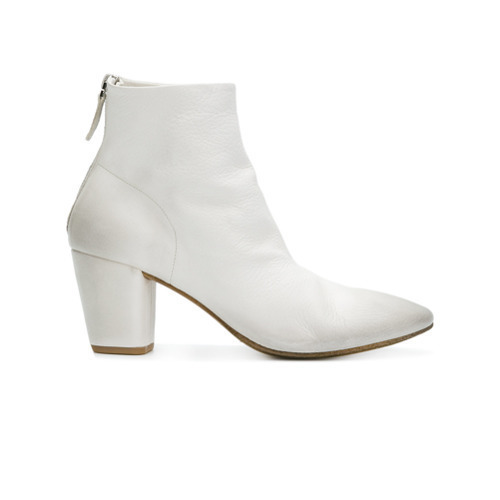 Rock a pair of white leather ankle boots to va-va-voom your outfit. For a nothing less than drool-worthy ensemble, dress in a black tie-dye evening dress. Finish off with Marsèll Chunky Heel Ankle Boots from farfetch.com and off you go looking stunning. For a look that's classy and totally editorial-worthy, make a black floral coat and an olive silk pencil skirt your outfit choice. 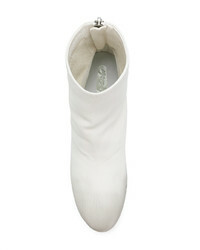 Now all you need is a pair of Marsèll Chunky Heel Ankle Boots from farfetch.com. So as you can see, looking elegant doesn't require that much effort. Just consider wearing an olive trenchcoat and you'll look incredibly stylish. When it comes to footwear, this ensemble is round off wonderfully with Marsèll chunky heel ankle boots from farfetch.com. Go for a black ruffle shift dress and you'll look like a total babe. 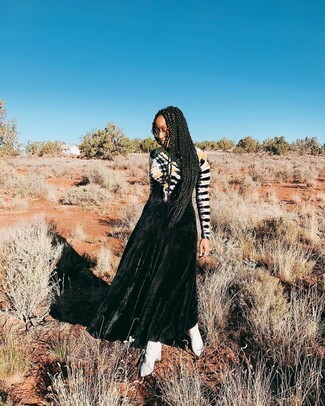 Look at how well this ensemble goes with white leather ankle boots. Reach for a dark green quilted bomber jacket and white ripped skinny jeans to be both cool and relaxed. Sporting a pair of Marsèll chunky heel ankle boots from farfetch.com is an easy way to add some flair to your getup.